Seattle is a city of buroughs to which residents can be passionately loyal. 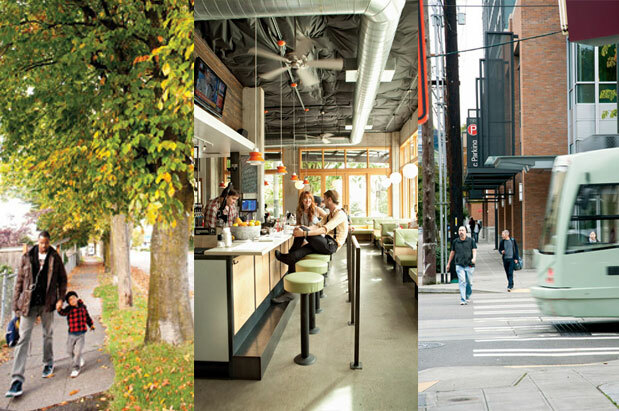 Thus, we're taking a new approach to our annual "Best Of" readers' choice poll this year: spotlighting your favorite restaurants, entertainment and other services in each neighborhood—and, at the risk of jamming our inbox with irate emails, naming the best neighborhood overall. Support the local businesses you love and vote for your neighborhood now. Autumn Martin of Hot Cakes in Ballard has gone too far: her delicious, rich milkshakes (we love the salted caramel too much) made with Bluebird ice cream now come in “spiked” flavors. Yep, dessert and booze now travel together in such fabulous forms as Mezcal with Lime and Salted Caramel, and Smoked Chocolate Ganache, Laphroiag and Malt. Cheers to that. You may want to wake up early if you plan to hit the big sale at Nordstrom this weekend. The annual event, which debuts forthcoming fall trends at temporarily marked-down prices, has many shoppers lining up outside stores for a chance at first picks from this year’s top clothing trends. Lifestyle editor Kate Calamusa has more details on what to look for. Founder of the popular Pinter Fortnightly series, Frank Corrado ups the ante this month with The Pinter Festival, featuring full productions of two full-length plays and two one-acts, plus several sketches—all by notable American playwright Harold Pinter. We’re especially looking forward to The Dumb Waiter, starring Darragh Kennan and Charles Leggett, in which two hit men awaiting their next assignment are flummoxed when food orders begin to arrive via mysterious notes. Want to know more about why Pinter is such a big deal? Read arts & culture editor Brangien Davis’ article from our July issue. If you’ve been considering a jaunt to Vashon Island, this month brings the perfect reason: The annual Strawberry Festival, with arts and crafts, live music, parades and carnival rides down the quaint streets that play host to the homegrown art collectives, niche shops and new restaurants that beckon the weekend adventurer in us all. This popular indie music fest is working toward becoming a more inclusive neighborhood celebration of music, arts and culture. The program still boasts excellent music headliners (Neko Case, Allen Stone, Lemolo), but this year, in between your favorite mainstage acts, you can hit the Capitol Hill Indoor Flea Market at Century Ballroom; explore the extensive outdoor art exhibit curated by Ghost Gallery and featuring artist Stacey Rozich and our own staff photographer Hayley Young; or bring the kids (Neumos, 9:30 am Sunday) to a free Caspar Babypants concert and ice cream party sponsored by Cupcake Royale. Visit the Capitol Hill Blog for a clear breakdown of everything you need to know about this event.